Have you ever played Sega, Dendy or Nintendo? Of course you do. When we were kids, we all played 8-bit games. 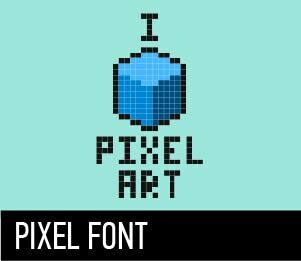 Pixel fonts are designed for decoration mainly. As you know, these fonts are made up of square pixels and it makes it easy to scale up and not lose its functionality. This section presents pixel fonts from various games. With these fonts, it is easy to stylize a website and immerse the user in the carefree world of childhood.